Louis Rossignol is a native of south Louisiana and has been on top and underneath the waters of Venice for 30+ years. Louis is a founding member of the "Hell Divers Spearfishing Club" and knows the waters off Louisiana's coast like the back of his hand. 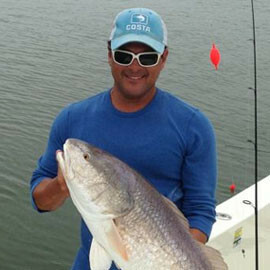 Captain Louis has caught almost every type of fish there is, but his passion is chasing redfish. 24'10" Yellowfin Carbon Extreme w/ Yamaha 300 4stroke, Simrad electronics/radar, 2 Blade power poles and a Minn Kota Ipilot troll motor. Jay Quiros is a native of south Louisiana and has been on top and underneath the waters of Venice for 30+ years. Jay is a founding member of the Sea Tigers Spearfishing Club and knows the waters off Louisiana's coast like the back of his hand. 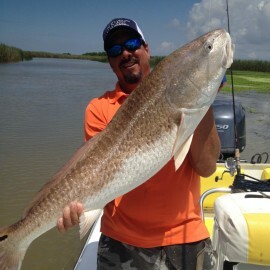 Captain Jay has caught almost every type of fish there is, but his passion is chasing redfish. Captain Jay fishes on a 256 Blackjack with a 350 Mercury, Lowrance electronics/radar, Blade Powerpole and Minn Kota troll motor. Daniel Eckhardt is a native of south Louisiana, a veteran of the US Army and has been on top and underneath the waters of Venice and surrounding areas for 17+ years. Danny is a retired member of the "Hell Divers Spearfishing Club!" Captain Danny has caught almost every type of fish there is, but his passion is chasing and catching redfish in the south Louisiana marshes! 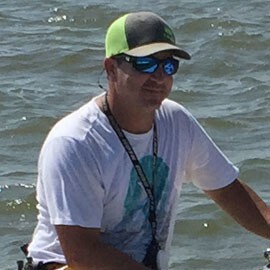 Captain Daniel fishes on a 24' 6" Skeeter 24ZX powered by a Yamaha 300 4stroke, Lowrance electronics, power pole and a Minn Kota Ipilot troll motor.